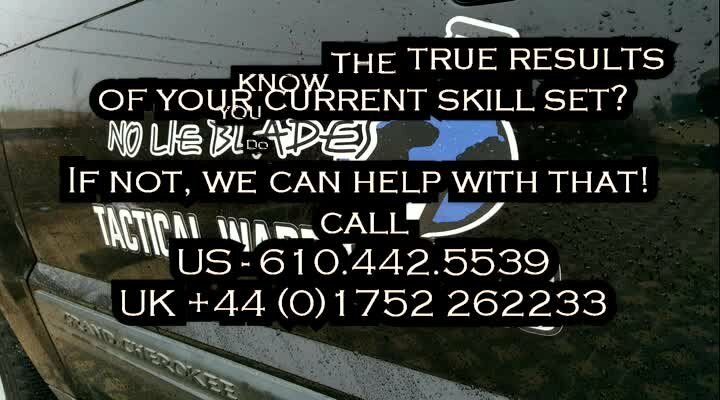 Ross Baldwin one of the UKs newest NLB No Lie Blades Civilian Training Instructors is seen here in this video during his edged weapons and CQB pressure testing at the 2016 United Kingdom NLB / No Lie Blades course. If your interested in inquiring on how to become a NLB instructor please email info@nolieblades.com or call 610.442.5539. Please share in your networks..